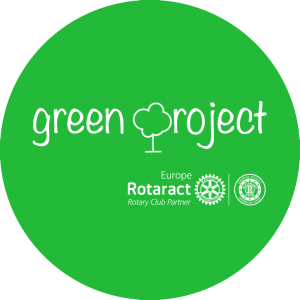 Rotaract club Rijeka tries to support and be a part of as many national and global projects as we can so this year in celebration of the 20th anniversary of our club alongside the 25th anniversary of our sponsor club – Rotary club Rijeka – we decided to do just that. This year, Rotary International president, Ian H.S. Risley, made a plee to all Rotarians to pledge to plant a tree. The idea was to make a small deed that would, multiplied by the number of Rotarians, equal to 1,2 milion planted trees. We started with a trial project in October to get educated on the matter and see how it goes and it went pretty well and we planted around 2000 trees. Furthermore, in the weekend of both of our anniversary celebrations we spent a lovely Saturday which was conviniently on Earth day, on 22nd April 2018., planting more than 3000 trees alongside 111 Rotarians and Rotaractors from all around Croatia.